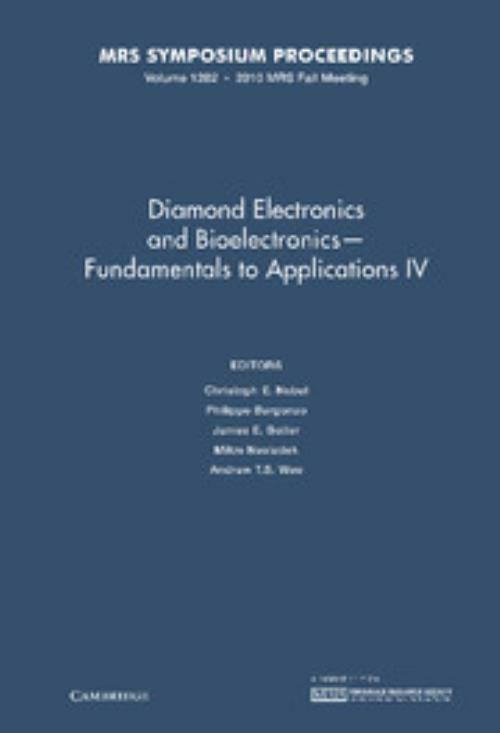 Symposium A, 'Diamond Electronics and Bioelectronics - Fundamentals to Applications IV', was held November 29–December 3 at the 2010 MRS Fall Meeting in Boston, Massachusetts and resulted in this volume covering the rapid advances in these evolving fields. Diamond in the single-crystal form has been considered to be the 'ultimate' wide bandgap semiconductor. However, it is now clear that applications outside of conventional electronics may be even more important. For example, the spectacular properties of single-point defects in diamond have destined this material to be important for the future of quantum informatics. Several other novel forms of diamond have been derived recently. These include nanocrystalline diamond films, which have unique mechanical, electronic and biocompatible properties for sensing, and diamond nanoparticles for biotechnology and drug delivery monitoring. In this symposium, 14 invited oral presentations, 56 contributing oral presentations and 29 poster presentations have been contributed by teams from more than 15 countries. In this volume, you will find 26 selected papers from this meeting. 26. Composition, bonding state, and electrical properties of carbon nitride films formed by electrochemical deposition technique Hideo Kiyota. Andrew T. S. Wee National University of Singapore.